Patriotism! It’s more than a word, it’s the way you live your life. It’s a feeling you get when you hear the National Anthem. It’s the goosebumps you get when you see our flag being raised. It’s the tears that form in your eyes when you see our fallen heroes come home. It’s that lump in the throat when you watch the ending of “American Sniper”. That’s patriotism and if you’ve never experienced it you will never know what it means to be a patriot. My patriotism was given a whole new energy over the past weekend, didn’t think that it could get much stronger but wow, did it ever. 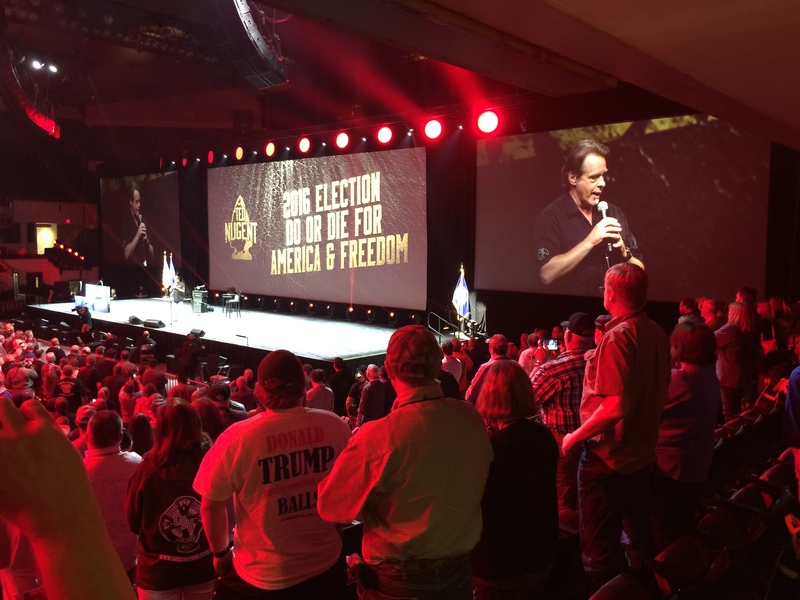 As you know Doc and I attended the NRA’s 145th Annual Meeting. We had no idea what to expect last Thursday as we loaded the car and headed to Louisville, Kentucky. Yes, we knew we would hear speeches from politicians and gun rights supporters; we knew we would see cool guns and gear; we knew we would meet extraordinary people from around our nation. That was all a given. What wasn’t a given was the sense of pride, the sense of patriotism that overwhelmed us. It flowed all around us as we walked the crowded exhibition hall, participated in some of the seminars and listened to the speeches in Freedom Hall. It was refreshing and it renewed our belief that there really are a lot of us out there; people just like you and I that place a value on our freedoms and liberties. People that place honor and commitment above all else. People that simply want a government to leave them alone. That’s all we want, we don’t want handouts and we don’t want government intrusion. We simply want to live our lives in peace. That’s what we brought home us. We brought back the American spirit that has formed this great nation. We brought back the knowledge that we are strong and well suited to take this fight to the end. There were great speakers but the one that got our blood flowing was Ted Nugent. He is, without question one of the most patriotic individuals we have had the pleasure of meeting. His speech, followed by a Q&A with the audience was inspiring and reassured us why we started Patriots Rising. Everyone one of us can make a difference, you don’t have to be a celebrity or politician. No, you and I can make a difference and we are. Everyone should attend at least one of these meetings in their lifetime. It’s well worth it and the experience will leave you inspired to carry on the fight for ALL of our freedoms and liberties. 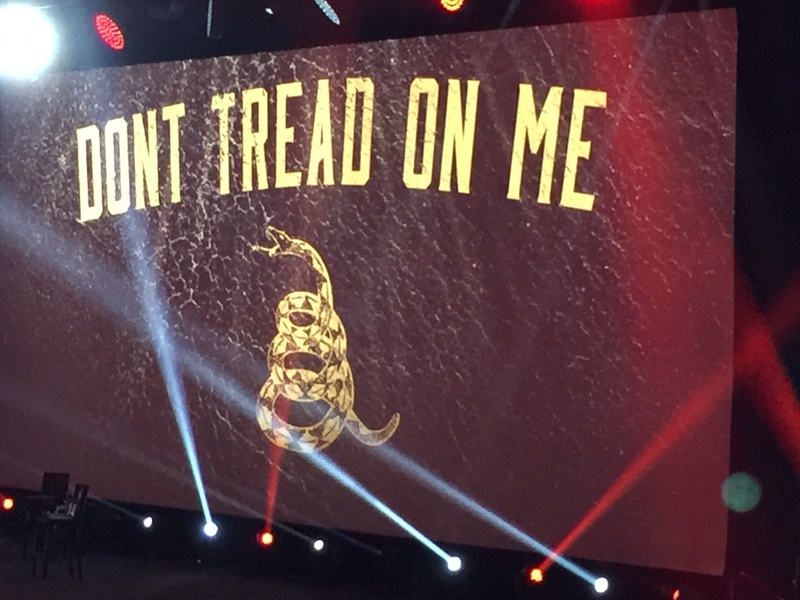 We hope to see you next year in Atlanta, Georgia for the 146th NRA Annual Meeting. God bless America and every single patriot out there! Click Bait: Post Valuable Content!! !